Need to take a break from your grueling work day? Why not drop into the YMCA and play a little basketball with colleagues and others who enjoy the game and exercise? Pickleball is a fun game that is played on a badminton court with the net lowered to 34 inches at the center. It is played with a perforated plastic baseball (similar to a whiffle ball) and wood or composite paddles. It is easy for beginners to learn, but can develop into a quick, fast-pasted, competitive game for experienced players. The Tri-Cities Family YMCA has a racquetball court. Please reserve a court up to 24 hours in advance at the Welcome Center. Beginners will learn basic techniques, forms and stances. They will learn application of techniques integrated with basic self defense. They will learn breathing techniques, mental focus and physical conditioning. Advanced students will learn advanced kicks and hand techniques as well as advanced forms. Students will learn self defense against multiple and armed assailants. Students will also learn to control an aggressor with joint locks, pressure points, and restraint techniques. 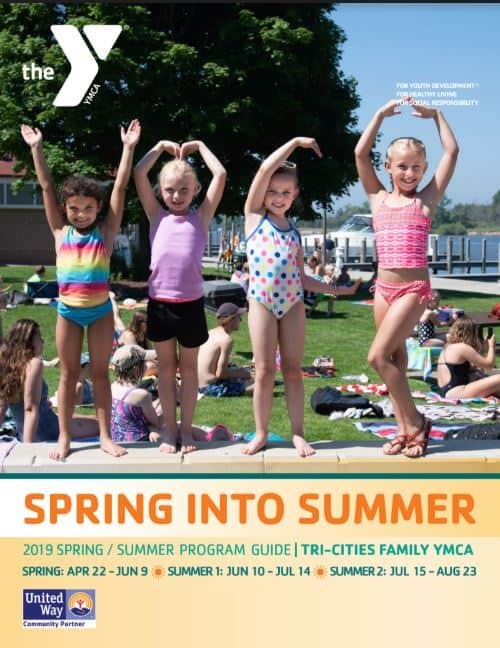 During the summer months, the Tri-Cities Family YMCA offers a fun and competitive outdoor soccer league to both members and nonmembers. Participants must be at least 30 years old. Program is divided up into two 5-week sessions. Games are played at Coast Guard Park in a 7 vs. 7 format. Recreational and competitive leagues are available based on registration. Team fee: $380 per season; fee must be paid in full by the Friday before the start of each season so that the game schedules may be completed.